CHICAGO (WLS) -- A British Airways plane ran into trouble in the skies Sunday over Arlington Heights. 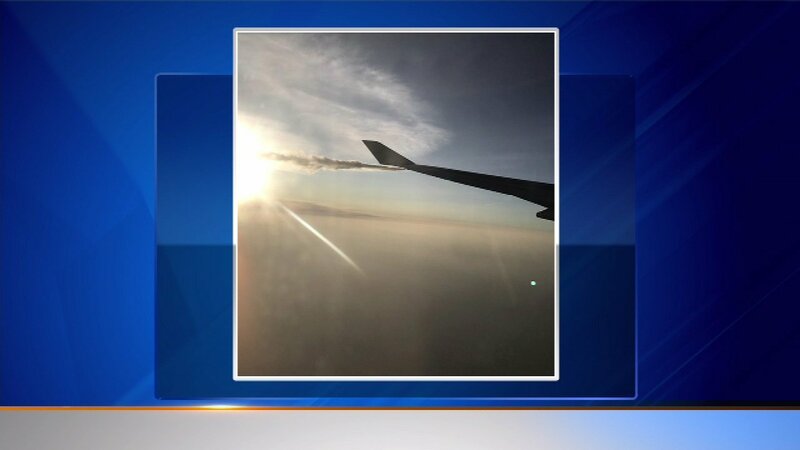 Some viewers told ABC7 that they saw flames coming from one of the engines and one passenger sent in a photo of the plane dumping fuel. The flight was on its way to London. A passenger said there was a loud noise just after takeoff. He said the captain announced that an engine was lost and then circled over Lake Michigan for about 90 minutes dumping fuel. The jet then landed safely back at O'Hare. A British Airways spokesperson released a statement saying, "The flight landed safely and our team at the airport looked after our customers, arranging hotel accommodation and rebooking them on the next available flight. We're very sorry for the disruption that has been caused to our customers' travel plans."